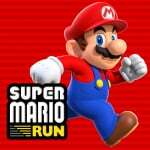 When Nintendo posted a short video of Shigeru Miyamoto talking about Super Mario Run at the start of the week, we resisted. The hugely likeable and respected game creator is repeating lines from the Apple conference reveal, and it's silly - it's not news. Well, who cares, it's quirky. If you don't like seeing Shigeru Miyamoto and Bill Trinen hijinks because it's not an NX reveal, or only like deadly serious game news, you clicked on the wrong article. It's worth sharing, anyway, because it's not often that Shigeru Miyamoto eats a burger for our entertainment. The 'play with one hand' marketing does raise some important questions though. What if sauce and relish dribbles out of the burger bun while clumsily eating it one handed? What other fast foods are recommended as Super Mario Run snacks? Hot dogs? Meatball subs? These are truly the key questions for this age when, it seems, we can't even eat without checking our phones. What a time to be alive. You guys have no idea how happy I am that this article only came up AFTER the PMCS article. One comes out in 3 weeks, one in 3 months, but which one is getting all the press? I can play the Wii U while sitting on my toilet but with Super Mario Run I can actually play while wiping too. I know why they're hyping this game but this is getting ridiculous. @rjejr The one that will make the most money??? Nintendo will soon regret suggesting things to do with your free hand while one handed gaming. This is, after all, the internet. @Noonch Which is why I didn't say what I was going to because it boarded on inappropriate. You could even use the free hand to play Super Mario Run on another phone. Playing two games at the same time is the future of gaming guys. @Zanark It's already the present for me... I have two 3DS's and often play two games at once... one with each hand. Try playing with one hand on iPhone 6 Plus or any big phone, you will get hand cramp. Maybe,when this game will be relasead in Italy, people will stop calling Super Mario "Mario Bros"(italians non-gamers think bros is Mario's last name). @Spoony_Tech Yeah, almost certainly more $, but it isn't getting any of MY money. Nintendo got $349 from me when they sold me the Wii U, that gives me 349 reasons to complain. Not like I need a reason. "The 'play with one hand' marketing does raise some important questions though." I'd be way more worried about Bayonetta Run, if you catch my drift. Dammit Gonzie, making me laugh like that! I prefer hot dogs, and so would like to see another video showing whether it's possible to play the game while eating one. You're a funny guy, always happy to see your name in my in-box. Are you asking me what PMCS is? Paper Mario Color Splash (or Colour if you're so inclined) I even got the correct letters in the correct order and everything. If you are just joking that nobody knows what that is, not even Nitneod, well that's how I read it. Should I start putting in the colon? PM:CS I hadn't been using it b/c I kept typing a semi-colon instead, which looks weird PM;CS. And I assumed everybody knew what PMCS was. NX announced yet... nope, back to my favourite one-handed activity. @SanderEvers I excel at one-handed underwater basket weaving. That video should be a new update for Tomodachi Life so there will be a 'FLASH NEWS' talking about How Shigeru Miyamoto introduce and playing Super Mario Run while eating. That's what Miyamoto should be doing instead of talking about NX. I'm glad N noticed he gives nx bad rep so they found something else for him to be busy with. "Watch out for dribbling sauce, though"
Good Lord... I could totally see that line in some cheapo 18+ adult movie. "What will you do with your other hand?" Shigeru: Tim Cook, what do Americans like?" Tim: "ugh.... I don't know ... Like... Oh, burgers!" I would be willing to wager that this article will receive the largest number of comments containing masturbation jokes of any Nintendo Life article ever published. Now I'm just waiting for the retro review of 3D Pocket Pool for the Game Boy Color. 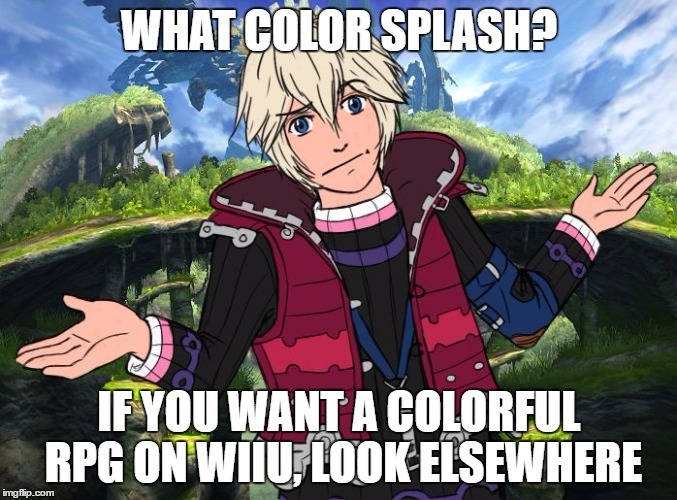 Well, take a look on previous thread about Color Splash. You'll realized some of them now excited with Color Splash. I'm excited too with Color Splash. @chardir I had one of those. Also noticed my games stopped working five minutes in while using said controller. @sillygostly That one crossed the 'inappropriate' threshold and got deleted. Please remember the Community Rules. @TerrapinJess ....yes, because the only place you can find a cheeseburger is in the United States of America. Oy vey. As always Miyamoto-dono blurs the lines between cool, adorable and dorky. @gcunit : I quickly read through the community rules prior to commenting, wondering if it would in fact cross said "threshold" and I couldn't be completely certain. It occurred to me after the fact that the choice of language may be considered to be more taboo in the U.K. (where this website is based), and that I had miscalculated. I returned here to delete my comment, to find that it had already been removed, so I got the hint. No no, I was actually confused over the acronym... but the joke explanation is more fun, so I'll go with that. Also, thanks for the kind words, as being funny - or trying to do so - is sort of my shtick! @AlexSora89 I think you not knowing what PM:CS stood for just proves my point that Ntnedo isn't working very hard to promote it. So now I can get my Mario fix AND fill my belly at the same time. Whoa. Not that they even needed that much, anyway. Classic overworld map, no level selection, partners. Word of mouth would subsequentially have done the rest. Has to be said- Miyamoto is a really healthy looking man for his age. Not sure why this pleases me so much. Another dumb control scheme thanks to Miyamoto; likely another dumb game. Yeah, you really don't need a reason to complain. So I, and many others, don't have a brain, huh? Wow. Paper Mario colour splash will bring the wii u back to life. So many positive comments about the game. Hope it doesn't disappoint anyone. He could also demonstrate eating a wiener sausage. @Ryu_Niiyama oh come on I was just playing Into the fact that we are mostly all about the burgers. @chardir I had one of those growing up! Why not ? Last time Nintendo promoted about Pokemon GO Gym with Mc Donald as the sponsorship. And even the burger isn't from Mc Donald, are you happy if Shigeru Miyamoto use the burger from Wendy's or Carl's Jr. ? I hardly even read your comments anymore, because they're usually the same. Delay? Incompetent! No release date? Incompetent! But from what I've seen your comments are usually on a much higher niveau than those by Clownshoes and I don't think there's any need to change that. You should win an award for "Avatar name mostly likely to be banned but isn't b/c it's accompanied by the most adorable pic ever". I apparently have a sick and twisted mind. Though I think if I saw the pic first, not the name in the notifications area, my mind would have just said "aww"